CURE Your Fear of Flying Quickly & Effortlessly. But, When You See How the World's #1 & #2 Most Powerful Behavioral Therapies Work Together, It Will All Make Sense. "In a typical year, lightning kills about 47 people in the United States, and venomous animals and plants, 94. Last year, passengers flew 760 million times on airline flights in the United States, with just one death, a mechanic who fell while trying to close the door of a parked Boeing 737." If out of 760 million passengers 100% flew and lived last year, how come you are afraid of flying? That's right, according to the National Institute of Mental Health (NIMH), 6.5 percent of Americans have a fear of flying so intense that it qualifies as a phobia or anxiety disorder. Racing, irrational thoughts (often catastrophic)? Urgency to leave the airplane or tear open the exits? Fear heightened by turbulence or mechanical sounds? Tightness in throat and chest? You can easily overcome these awful symptoms and other similar uncomfortable sensations with the revolutionary technique I'm about to reveal on this website. Your Fear Can Fade Away. And Get Immediate Results that Can Last a Lifetime. It does NOT rely on fluffy relaxation techniques such as 'deep breathing' or 'think positive thoughts'. You will NO longer have to waste anymore money or time on traditional 'talk therapy'. You will NOT be asked to go out and expose yourself to airplanes, airports, or forms of flying in hopes of deconditioning yourself to the fear like Cognitive Behavior Therapy (CBT) does because it involves weeks of mental pain. You will NOT be asked to take any medications, which in addition to their expense, have the possibility of side effects and addiction, the necessity to keep taking medication indefinitely, and most of all, the likelihood that drugs won't solve the problem. After reading this information you can immediately and automatically have confidence to calmly get on a plane and stay in control so you can take off for business, vacations, or family reunions. According to Modern Psychology the technique I teach may be the most powerful vehicle for change in existence, and as a former sufferer I know it's the most powerful because it cured me of Aerophobia (fear of flying) and my fear of heights - I now live on the 28th floor right across from the airport! It is a completely natural approach to eliminating 100% of flying anxiety within 18 minutes. This may seem very hard to believe for someone who may have had this condition for some time, but believe me the new information is now available to free you from fear of flying - especially if it's severe. You may be amazed at how such a simple technique known as 'The Fast Phobia Cure' could be so powerful in eliminating a fear of flying, and allows you to fly calmly while feeling in-control. This little known technique was developed by Dr. John Grinder and Richard Bandler, and I refined this technique specifically to cure a fear of flying, so chances are you will not have come across anything like it before. Some people with phobias think there's something wrong with them, that they are crazy, or that it's stupid to have the fear. Actually, if you have a phobic response to something, it means your brain can learn very quickly. Phobias are typically the result of a one-time learning experience. For example, one woman had a spider phobia because when she was a child in a crib a spider crawled down on her face and she was unable to remove it. Somehow, outside of her consciousness, whenever she saw a spider or imagined one (stimulus), she would imagine that dangerous and frightening (response) huge spider landing on her face. That single experience had created a fear that had lasted over 15 years. After all, she never forgot to get scared when she saw a spider. This was powerful proof of her ability to learn very quickly. Fear is a communication from your subconscious mind. Your subconscious mind is attempting to communicate to you that danger is present and that you need to be careful. Your Brain is Making a Mistake! Some how your brain learned that flying is a life threatening situation, and triggers your 'fight or flight' response when you fly (or imagine to fly). Of course, this 'fight or flight' response has saved millions of human lives throughout our history, allowing us to avoid predators, accidents, etc. That's How Everyone Else Does It! 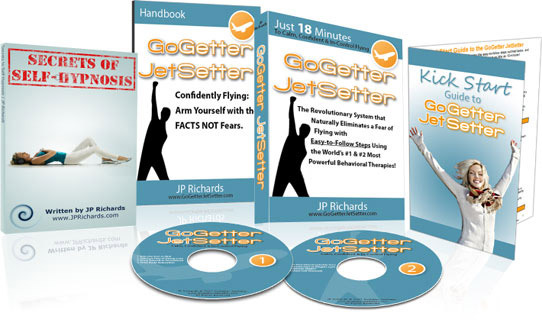 What my GoGetter JetSetter program does, and in particular the applied technique of 'The Fast Fear of Flying Cure', is give people the ability to immediately dissociate from the fearful feelings of flying (real or imagined), and instead choose to associate to new feelings such as calm, confidence, and being in control and even enjoyment, whether flying or imagining to fly. Do you know the scientific study of Pavlov's dog? In Pavlov's pioneering study, dogs learned that a stimulus (in this case, a bell) meant they were about to be fed. Starting with two things that are naturally paired salivating and being fed. Pavlov then added a third component by ringing a bell before feeding (see diagram below). After a few trials, the dogs learned to associate the bell (stimulus) with being fed and would react by salivating (conditioned response) at the sound of the bell in anticipation of their food but without any food present. The GoGetter JetSetter program will help you to communicate to your subconscious mind to dissociate from the fear which, in effect, will cut the neural pathways (see diagram below) between 'Stimulus and Response' like a surgeon making a thin surgical incision. After 'The Fast Phobia Cure' technique cuts the old neural pathway, your brain now has the choice to create new associations of being calm, confident, and in control while flying and even respond with joy or excitement. ...and the exact, detailed easy-to-follow steps you can take to be in the successful 5%! The reassuring fact that 'flying is the safest form of travel', but did you know exactly why this is? Being fully educated on the latest 2019 research, I will help you develop a 'legitimate information foundation' about airline personnel, airplanes, and the industry. But exactly how do you do the above when you're actually facing your fear of flying? Doing that would be like shutting the gate after the horse has bolted. From the feedback I get, I have learned that other courses and treatments out there are NOT showing people how to do this automatically. Rather than fully empowering you, they teach conscious coping mechanisms and strategies on how to 'think' your way out of being afraid of flying. But if 'thinking' was all you had to do, then you knowing the fact that no one died in 2006 would be enough, right? Well, conscious thinking is NOT good enough! People need a program that teaches them how to free themselves from the feelings of fear at a subconscious level, and never fear flying again. That, I am sure, is the only kind of result you are interested in. How Come Conventional Psychologists, Psychiatrists, and Therapists Are Not Teaching This New Technique? Most 'traditional therapies' take a long time and are painful. If you're this reading now, I'm almost certain you've been told the 'same old' coping techniques you read all over the internet. Most of these relaxation techniques are still around from the 70's because it's what most therapists are taught (they still teach! ), and still exist because they themselves have never had to try these unsuccessful techniques themselves. The truth is, it takes a long period of time for new techniques and ideas to filter down to your local psychologist, and a willingness of the psychologist to try something new. The harsh reality is, therapists need you to come back session after session in order to pay the bills, so if they fix you in one or two sessions, they don't get paid... And if you visit a Doctor they are simply too busy, so you are most likely going to get a powerful and potentially addictive fear of flying medicine. Thankfully, their lack of effort has brought you here to find out about my method. To give you a little background, I (JP Richards, in case you forgot) was in my second year of a debilitating fear of flying, when I discovered this powerful technique that stopped my fear of flying in it's tracks. You see, I had to fly because my best client bought me a ticket to Columbus, Ohio for a company meeting and training. Before I could get out of the meeting and say 'no' to flying, the client had bought me a airplane ticket, and I was stuck facing my fear of flying or possibly losing my best client. 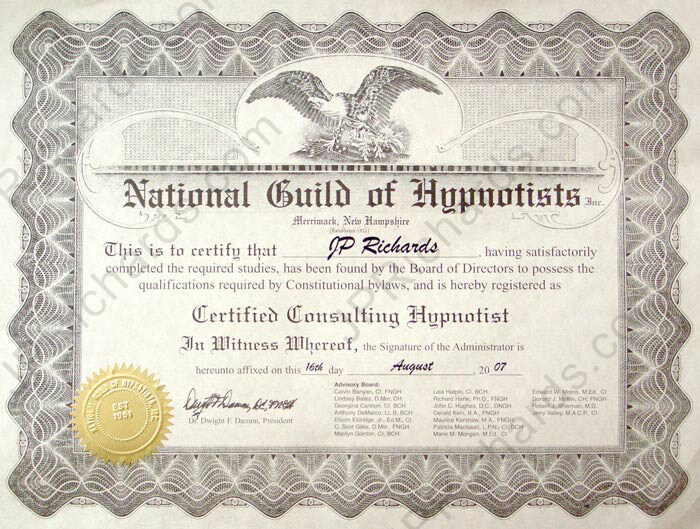 So I did what most people do as a last resort I went to see a certified Hypnotherapist and NLP Practitioner. Within 30 minutes of working with him, I could imagine flying to Columbus withOUT my knees getting weak, my breathing getting shallow, or my stomach getting queasy. Then without hesitation, without fear, I flew to Columbus, and it was actually a calm and enjoyable flight. After Hypnotherapy/NLP worked for curing my fear of flying, I was compelled (and still am) to seek out the best books, teachers, and courses on the subject. 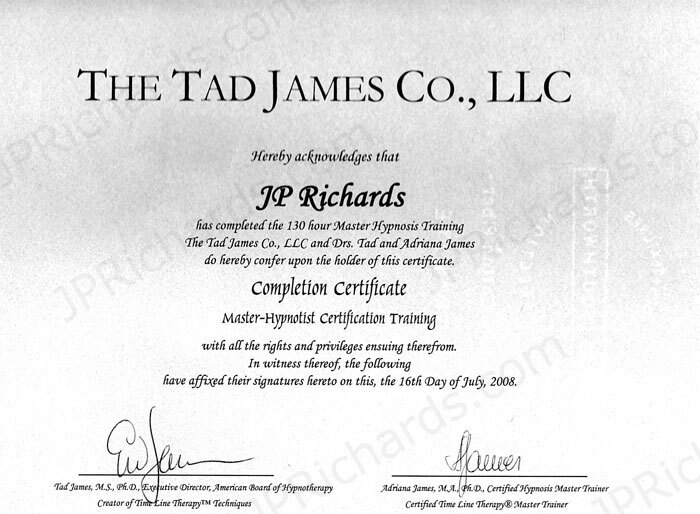 Initially, I got certified as a level 1 Hypnotherapist and NLP Practitioner, and learnt the exact same techniques that the Hypnotherapist I saw used effectively with me. 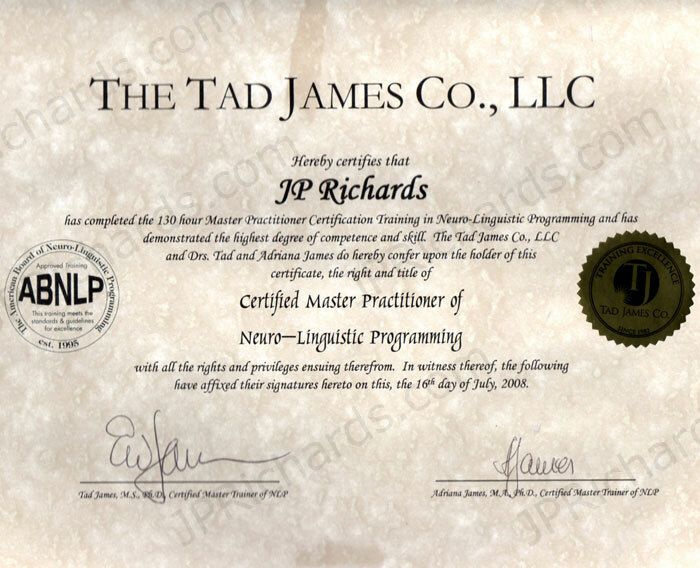 Hungry for more phobia removal techniques, I went to get as certified as a Master Hypnotherapist and Master NLP practitioner ('Master' is the highest possible certification) with Dr. Tad James who is recognized as one of the best Hypnotherapy/NLP trainers in the world. But that wasn't enough, I wanted to be more than a regular Hypnotherapist who treated smoking, weight loss, stress, 'and' phobias. 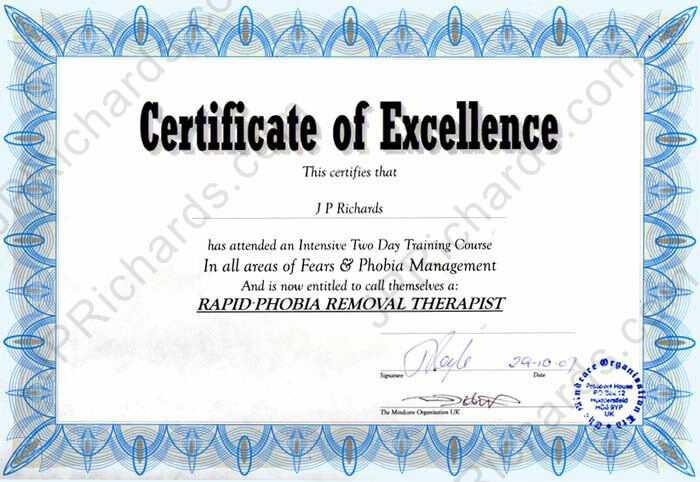 So I specialized by getting certified as a Rapid Phobia Removal Therapist to become the best at removing phobias. Now, I work with clients one-on-one, and similar immediate and permanent results. At first this surprised me because I was unsure I could replicate the same results. But clients were reporting instant fear of flying elimination and further research confirmed that the techniques I used were not only instantly effective, but also a permanent solution to any fear and phobic disorder. Having invested years in perfecting and customizing all my techniques to cure any fear of flying from mild to completely phobic I present this information to you. First off, I hope you're open to the idea of Hypnotherapy because it has been accepted by the American Medical Association, the American Psychiatric Association and the American Psychological Association. Perhaps when you hear the word 'hypnosis', you imagine a mysterious bearded man waving a pocket watch back and forth, leading his subject into a zombie-like state Once hypnotized, the subject is compelled to obey, no matter how bizarre or unethical the request. Muttering "Yes, master," the subject does the Hypnotist's evil bidding. Contrary to what movies, television, and books would like us to believe, this popular representation bears little or no likeness to actual hypnotism. In fact, our contemporary understanding of hypnosis opposes this notion on several key points. 'A relaxed, focused state of concentration', that is the definition of Hypnosis. But the actual state of hypnosis is a little harder to define. Hypnosis is often described like sleep but not unconscious, more like a state of daydreaming. All hypnosis is self-hypnosis, you actually do it yourself. Hypnotherapy specializes in resolving personal issues quickly and permanently. To find out more about what Hypnotherapy is and 'the 5 Myths of Hypnosis' click here. Neuro-linguistic programming (NLP) is an alternative approach to psychotherapy and describes the fundamental dynamics between mind (Neuro) and language (linguistic), and how their interplay affects our body and behavior (programming). 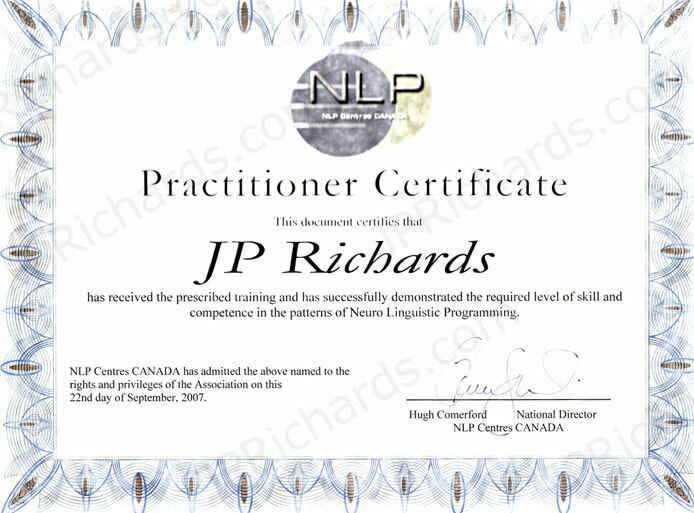 NLP was co-created by Dr. John Grinder (Linguist) and Richard Bandler (Computer Programmer and Gestalt Therapist). 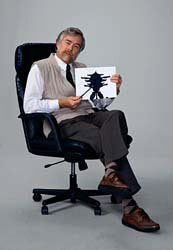 Their initial focus was pragmatic, modeling three successful psychotherapists, Fritz Perls (the creator of Gestalt Therapy), Virginia Satir (internationally renowned Family Therapist), and Milton H. Erickson (Clinical Hypnotherapist), with the aim of discovering what made these individuals more successful than their peers. Through the years, NLP has developed some very powerful tools for change and communication in a wide range of professional areas including: counseling, psychotherapy, education, health, law, management, sales, and leadership. Is the quote that appears at the beginning of the book NLP: The New Technology of Achievement (highly recommend), and is also the conclusion of myself and many who have used NLP, a science of the mind that has across the world in less than 20 years. Why does NLP & Hypnotherapy work so well? NLP and Hypnotherapy are so effective and speedy with eliminating a fear of flying because of NLP's "Fast Phobia Cure". The 'Fast Phobia Cure' (also called the Double VK Dissociation) technique works on the 'mental mechanics' of how we operate our phobia program (stimulus to response). During Dr. Grinder and Bandler's (founders of NLP) research into phobias, they discovered that people who detach themselves from their by the means of visualizing watching themselves having the phobia from a distance, will lose it. In essence, the Fast Phobia Cure helps you reprogram your brain to replace one set of responses with another. That's all. It is quick. It is easy. It is very effective. Unlike medication and 'talk therapy', The Fast Phobia Cure attacks and disables the phobia at its source, instead of just treating the symptoms. There are no lost causes. I've helped people who've had a fear of flying for 1, 5, and 24 years. You must simply STOP coping with flying anxiety or avoiding flying. Embrace the opportunity now to change because tomorrow you may not be so brave to conquer your fear. It is so very important to remove these self imposed limitations and get rid of the fear quickly and immediately before the fear gets a hold of our life again. Only you can make the move towards this freedom, it will NOT find you. How Much Is Your Fear of Flying Costing You? Fear of Flying Completely Calm & Enjoy Flying? ...I used the exact same technique I am going to share with you. I will help you quickly break down any negative associate that might be stopping you from flying with confidence. We've Caught the Pilots Napping at the Controls. In a marketplace crowed with 'fear of flying' products and courses telling you they have the solution to your fear of flying problem it is very hard to find something new that is truly unique and effective. Nothing I have come across is getting results like the GoGetter JetSetter program. Even the courses by Airline Pilots, sure they explain how flying works, offer statistics, and some even teach relaxation exercises. But overall they are only adequate for mild flight anxiety. It's not really the Captains' fault, they are NOT therapists, they NEVER had a fear of flying' All they know is flying is technically ultra safe and want to share that information with more fearful flyers in 'hopes' that it will help. AND YES, developing a 'legitimate information foundation' about the safeness of airline personnel, airplanes, and the industry is important to stopping some irrational thoughts. Being such, I meticulously crafted a 42 chapter handbook called 'Confidently Flying: Arm Yourself with the FACTS NOT Fears' to answer all of your fearful questions about flying safety. The elimination of all fears of flying, both subconscious and conscious. Eliminate any contributory fears, whether it's Claustrophobia or fear of heights (Acrophobia). Eliminate the possibility of any flying anxiety attacks. No more fear of the plane crashing. No more fear of take-off or landing. No more feeling out of control. No more intense anticipatory anxiety. No listening intently to every sound the airplane makes. No analyzing the flight attendants' faces for signs that something is wrong with the flight. No more sitting very still so not to disturb stability of the airplane. No more praying or engaging in superstitious rituals. No more feelings of being trapped in a small space. No more feeling like you're not getting enough oxygen rich air. No more fearing the bounces, shakes, or any form of turbulence. No more fear of any type of weather condition. No more fear of the plane falling. No more fear of you falling out of the plane. No more fear about the flooring of the cabin being fragile and breaking if you walk on it. No more fear of an embarrassing panic attack on the airplane or in the airport. No more losing control of your body to a panic attack. No more fearing airplane terrorism. No more putting off holiday plans or business travel. No more making excuses why you cannot attend a wedding, funeral, or social engagement. No more living in a dreadfully trapped existence. Or I'll Give Your Money Back PLUS 25% of Mine. A "quick-start" guide that'll allow you to make maximum progress on your fear of flying in minimum time. The foundational track of the program is a customized version of The Fast Phobia Cure technique. Its purpose is to completely disassociate you from your feelings of fear, allowing you to feel feelings of calm when flying (real or imagined). NOTE: if you wanted to cure your fear of flying in just 18 minutes, just listen to this track because more than 80% of my clients fear is banished after this session. If you amongst the 20% who need more Hypnotherapy, listening to track 3 repeatedly will surely restore you to being a calm, confident, and in control flyer. Based on the techniques of 'Timeline Therapy' and 'Systemic Desensitization', this track allow you to safely rehearse for success and associate feelings of being calm, confident, and in control while flying. You may find your feelings of calm, confidence, and being in control can deepen and grow every time you listen to this audio track. Combing a wonderful 'Guided Progression Muscle Relaxation' with Hypnotherapy, this technique allows you to shift from a state of being anxious into a deep state of relaxation. NOTE: All audio tracks combine powerful techniques of Hypnotherapy and NLP with state of the art digital sound. "Confidently Flying: Arm Yourself with the FACTS NOT Fears"
No need to rely on hyped media coverage, family or friends, or spend countless hours searching the internet for information. I invested months in expertly researching this information, to help you develop a 'Legitimate Information Foundation'. This meticulously crafted 42 chapter handbook is in 'Question and Answer' format, so you can easily discover the truth about every safety issue imaginable. Chapter 5: Who is the FAA and TSA and what do they do? Chapter 6: Who are the Air Traffic Controllers (ATC) and what do they do? Chapter 7: Who are the Aircraft Mechanics and what do they do? Chapter 8: Who are the Pilots and how trained are they? Chapter 9: Who are the Flight Attendants and what do they do? Chapter 10: How does an aircraft fly? Chapter 11: What are the aircraft systems, safety, and reliability? Chapter 12: What to believe about what you hear in the news, hyped or real? Chapter 13: Is turbulence safe? Chapter 14: What about air pockets? Chapter 15: What about fog, snow, ice, thunderstorms, and lightning? Chapter 16: What about engine failure? Chapter 17: What about flying over water? Chapter 18: What about ditching? Chapter 19: What all the noises are on board? Chapter 20: What are the airlines doing about Terrorism? Chapter 21: Are there backup systems? Chapter 22: What are the safety checks for aircrafts? Chapter 23: How maintained are aircrafts? Chapter 24: How safe are air traffic and terrain avoidance systems? 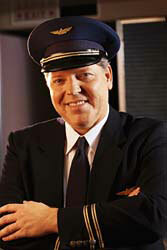 Chapter 25: Why do flight attendants always perform a safety briefing? Chapter 26: How much fuel they carry? Chapter 27: Are automatic pilots perfect? Chapter 37: Why are there so many delays when it's foggy? Chapter 38: How to deal with "difficult passengers"
Bonus Chapter 1: How to fly with children who are afraid? Bonus Chapter 2: How to prepare children to fly alone? A 'Legitimate Information Foundation' about airplanes, the staff, and how it all works together, means you can reduce your anticipatory anxiety and irrational thoughts. How much is feeling calm while flying worth to you? Well, this GoGetter JetSetter program could easily sell for $591 because this is what I charge if you were to visit me in my office for all the sessions in GoGetter JetSetter. In fact, I've had someone write to me stating the top Hypnotherapist in their city is charging $1,200 to remove a phobia withOUT any kind of guarantee. Additionally, I have invested $1,000s and worked virtually every day for months to research, test, and create the most effective fear of flying treatment with state-of-the-art digital vocals and music. I'm only asking for $49 today. So you can fly calmly, confidently while in control for the rest of your life. Far less than what you'd waste in one potentially addictive prescription to 'knock yourself out'! The last thing you need is to be afraid of whether or not you should give GoGetter JetSetter a try... So let the risk rest completely on my shoulders. I'll also send you $12.50 right out of my own bank account, in addition to a 100% refund of your purchase price! ... But don't feel like you "must" listen to the entire program to qualify for a refund (that's only if you want the additionally $12.50). If you change your mind about the program for any reason at all, simply ask for a refund and you'll get 100% of your money back on the spot. Best of all in the unlikely event that you decide to return this program for a refund, you can keep the GoGetter JetSetter audio tracks, the handbook, and bonus tracks. It's my way of thanking you for at least trying to overcome your fear of flying. I designed this guarantee for the 99% who are honest, but naturally skeptical -- not the 1% who'll take advantage of me. But more important, I've been offering guarantees for years, and only a handful of clients have taken me up on it. Tell me the last time you went to a therapist or a pharmacy, and they offered you a money-back guarantee, and compensation to you for investing your time? Of course not! But I do. 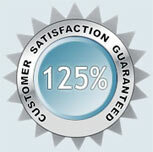 NOTE: To view this guarantee in a pop-up window that you can print out for your records, click here. FREE to Keep -- No Matter WHAT!" This customized version of The Fast Phobia Cure technique is for fearful flyers who feel Claustrophobia is part of their fear of flying. After listening to this track, you may completely disassociate you from your feelings of Claustrophobia, and choose to associate to feelings of calm. NOTE: 90% of my clients' fears of flying are banished after JUST listening to track #2 'The Fast Fear of Flying Cure' alone. This customized version of The Fast Phobia Cure technique is for fearful flyers who feel a fear of heights is part of their fear of flying. After listening to this track, you may completely disassociate from your fearful feelings of heights, and be given a choice to associate to feelings of calm. For those of you who suffer from anxiety or panic attacks, self-hypnosis is the perfect technique for gaining control of your body, breathing, and heart rate' and even preventing attacks before they happen! After listening to this track, you can develop the self-hypnosis skill, which allows you to shift your state (anytime) to a deep state of hypnosis or a deep state of relaxation within 15 seconds! 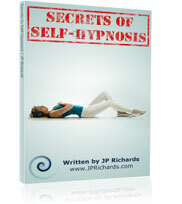 New at hypnosis and don't know how to start, and you want to find out what people are so excited about. A Veteran at hypnosis and want to discover how to go deeper faster. Not going deep or long enough into hypnotic state. Going under too deep and feel you are not recalling what you experienced. Too fidgety while listening to the audio tracks. You may find your feelings of relaxation and hypnosis can deepen and grow every time you listen to this audio track. Get permanent results using the easy-to-follow steps in this guide, and become a calm, confident, and in-control flyer in as little as 18 minutes! I actually recommend that you read this report before you do anything else! 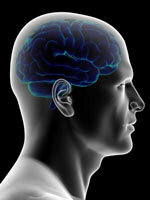 This report gives you tips on how to train your mind to drift quickly and safely into Hypnosis. So you can get right down to curing your fear of flying quickly. I'm sure you'll agree that enough time ' and money, and happiness, and opportunity' has been wasted because of your fear of flying. With your approval, I'd like to' Let GoGetter JetSetter re-train your brain and let these powerful techniques work for you. 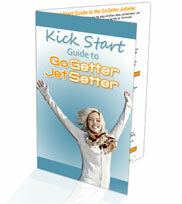 The GoGetter JetSetter program is a complete solution with easy-to-follow steps. It provides all you need to regain control over your fear of flying once and for all, so you can be the calm, confident, and in-control flyer YOU want to be. You will be billed only once and the system is delivered instantly. Orders are accepted 24 hours a day using all major credit cards or PayPal. If the GoGetter JetSetter Program is not for you just say so and you'll receive a quick and courteous refund. New to ordering products online? Click here for more info. Basically here's how ordering works: once your credit card payment has been authorized you'll be emailed a direct link to a private web page where the whole package will be instantly available. This process will take only a few seconds. Allow yourself the opportunity to be a truly carefree flyer, and give GoGetter JetSetter a try, now you only have your fear to lose. Even though I get an enormous amount of e-mails, please remember to write me. I'd love to hear your story! P.S. If you act now, you can start to become a calm, confident, and in control flyer within the next 18 minutes, and even enjoy flying... 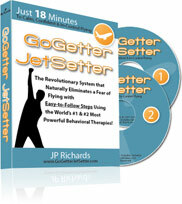 Try GoGetter JetSetter program now. 'I never flew before, so I wasn't sure what to expect, only one thing was for certain I did NOT want to fly! After one session with JP, I felt different about flying, and when it was time to take off, I actually got excited about the rush of going 300 MPH into the sky!